I recently completed my first drawing class. It was a 6 week course taught at a local art league headquarters by a very enthusiastic artist named Eileen. 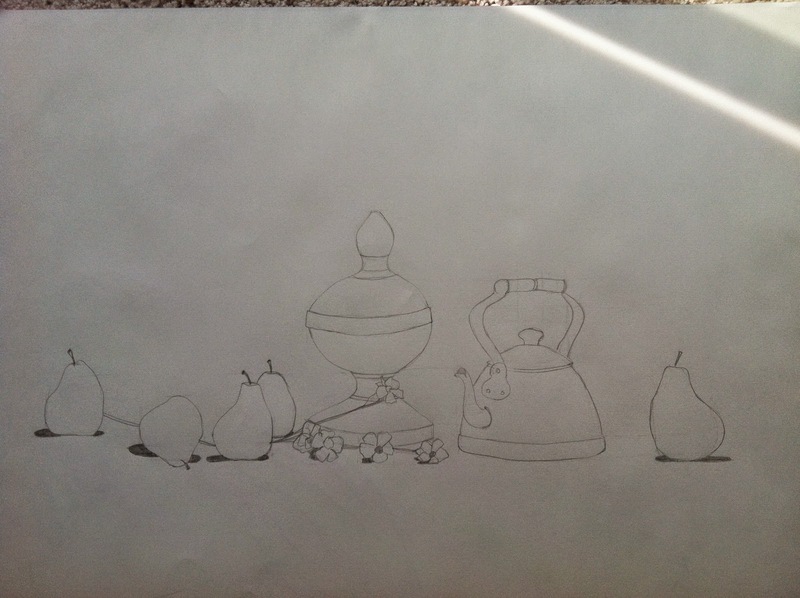 She taught us contour drawing and shading and I completed my first ever still-life drawings. My favorite activity was drawing on mid-tone paper using both dark and white pencils. From this course I learned that drawing is not difficult in the way that I thought it was. Seeing things like an artist is the challenging part. 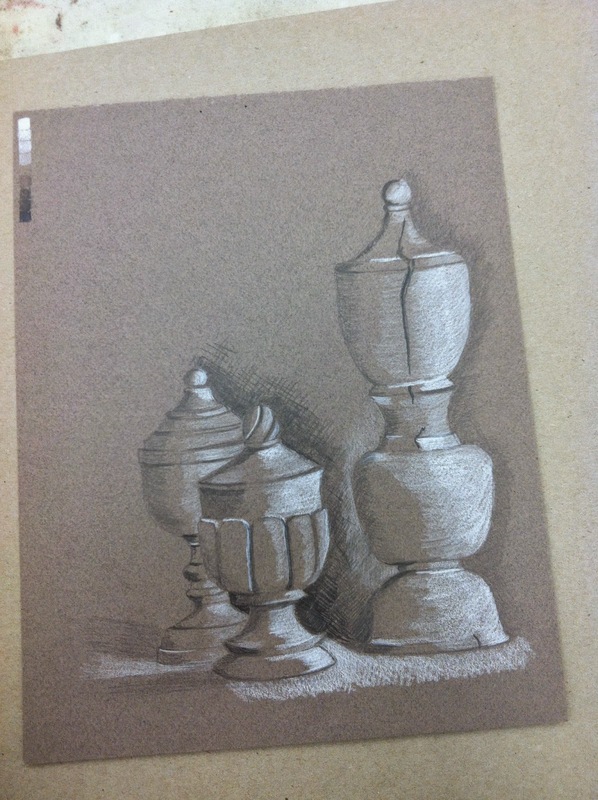 Looking at a still-life and translating the shadows and colors into shades of grey (values) is what I find difficult. I have signed up for another session of the course and I will be learning to draw with charcoal. I’m not sure if I will like getting my hands all messy (as a child I hated having messy hands) but I am determined to try another medium in my continuing search for the area of art at which I am naturally gifted. Perhaps I will never uncover my natural gift, assuming it exists of course, so I will enjoy the search and the little discoveries that come from it. 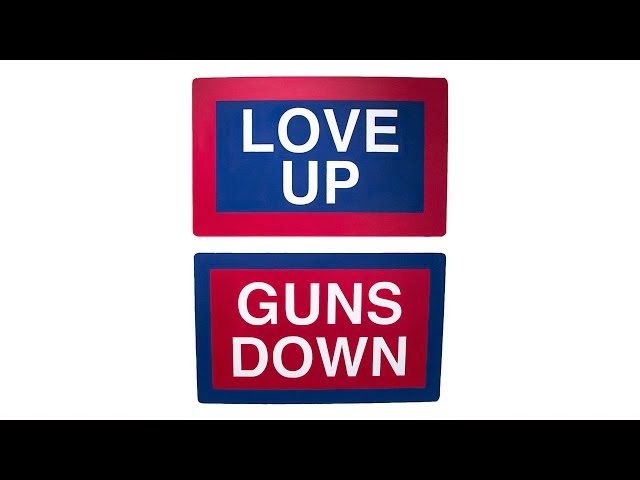 This morning I was watching the CBS morning show and saw an interesting story about a New York artist who is trying to affect change in a crime-ridden community through art. 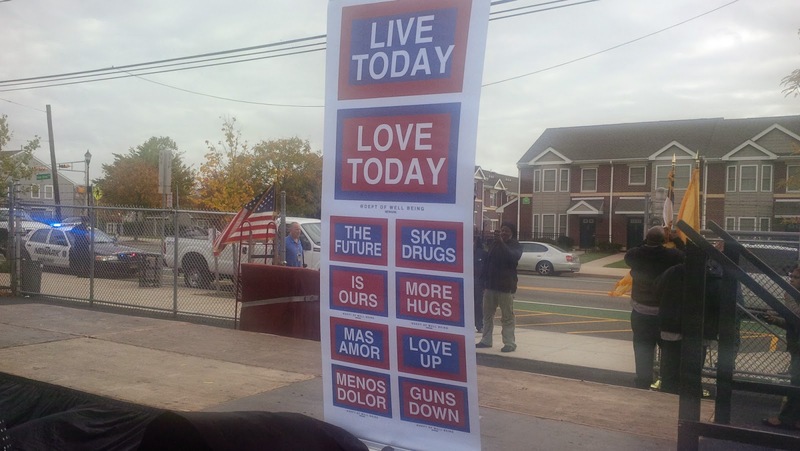 London born Killy Kilford has created inspirational street signs with the help of local students to post all around Newark, New Jersey, where the murder rate has been increasing. His goal is to surround people with positivity. 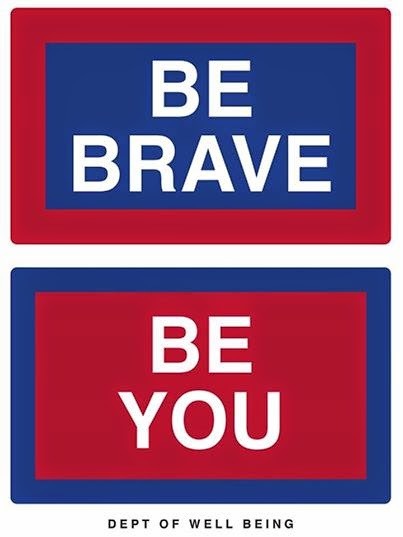 There is a website that describes the positive street sign campaign. 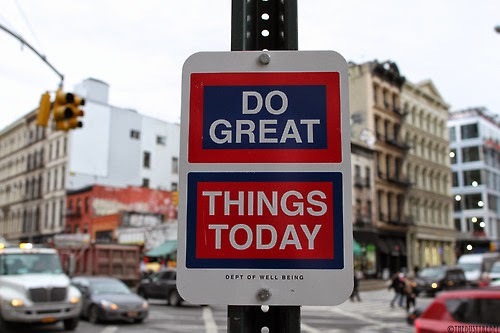 What positive message would you put on a street sign? 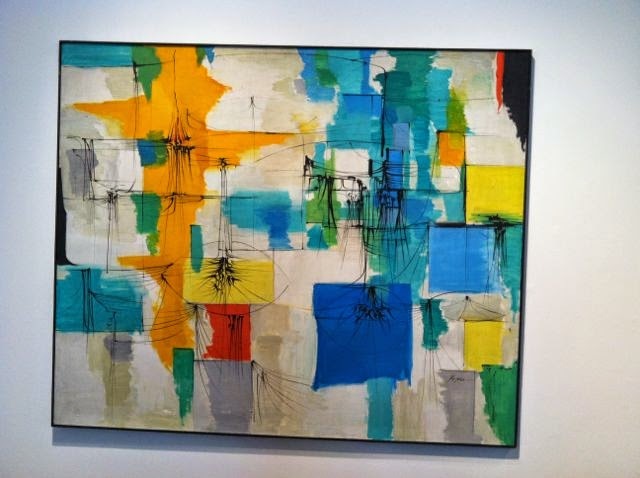 Last weekend I visited the Elmhurst Art Museum and saw an exhibit of Richard Koppe’s work from the 1950’s. Here is how the museum describes his work. 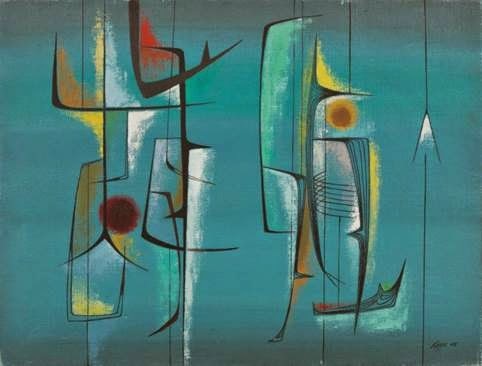 Combining aspects of cubism and surrealism, Koppe explored line, color, composition and space, producing works that are both playful and intricate. 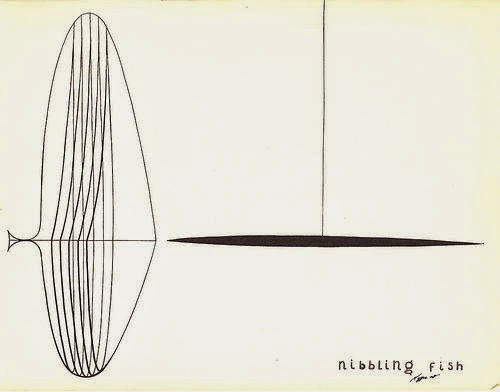 I really enjoyed his abstract paintings as well as his drawings of fish. Here are some photos of his works. I love the background on this one. I wonder why he added the circles? Koppe's fish drawings are great!